There are also many people who will need to be informed of the death. You can find more information about letting people know in this section. If the deceased has died in a hospital and you are the named next of kin, the hospital staff will inform you. If the person who has died had registered for organ or tissue donation and they are eligible, the transplant coordinator at the hospital will talk to you as the organs and tissues for transplantation have to be removed very soon after death. Many hospitals have bereavement staff who coordinate the issue of documentation and explain the procedures to you. In other places this may be done by the ward staff. Please note that preparing the documents takes time as they can only be completed by medical staff who were directly involved in the care of the patient whilst they were alive. Most hospitals operate appointment systems for collecting documents and belongings of patients who have died. In some cases the hospital medical staff will have to refer the death to the coroner. This means they will not be able to issue the Medical Certificate and the coroner’s officer will give you further information about when you can register the death. You may be asked to sign formal documents so the belongings of the deceased can be given to you. You will be asked to contact a funeral director who will arrange to collect the deceased from the hospital. You may need to sign a form authorising the funeral director to take the deceased to the funeral home. If the death was unexpected, you should dial 999 and ask for an ambulance and police immediately. The paramedics will confirm the death. Leave the area untouched. The Police will come to the address where the death has occurred to make a report. The police will arrange for the body to be moved by a funeral director acting for the coroner if the death is unexpected. If a doctor has confirmed an expected death you may call a funeral director of your own choice when you are ready to do so. Funeral directors provide a service any time of day or night to move the deceased to a funeral home. If the doctor is unsure about the actual cause of death even if it was clearly from natural causes, or if the deceased died suddenly and had not been under a doctor’s care during the past 14 days, or the death is unnatural, they will contact the coroner. The coroner may order a post mortem examination to determine the cause of death and then issue the documents allowing the death to be registered. If the death was expected, perhaps due to a terminal illness, you should contact the deceased’s GP or nearest doctor. If the cause of death is known and from natural causes the doctor will issue the documents to allow you to register the death. A public place refers to anywhere that is not a care facility or someoneï¿½s home. This might be a hotel, a school, sports club or a street. Usually the emergency services, i.e. the police and an ambulance, are called because the death is unexpected. If the death was unnatural, the police will be in charge of the area and will arrange for a funeral director working for the coroner to remove the body to the nearest public mortuary. This may be at a hospital. If the death occurs overseas, the registration process in that country must be followed in order to obtain a death certificate. Please see the section under Registering a Death for more information. 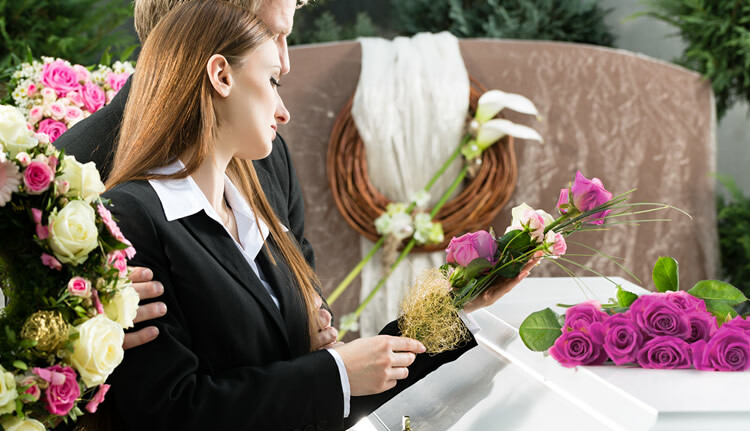 Remember to discuss the costs of the repatriation with the funeral director before confirming any arrangements and be certain that you can pay these or that they are covered by an insurance policy. Call us for help with finding your nearest coroner or funeral director. In England and Wales, it is possible to delay registration for a further 9 days provided that the registrar receives written confirmation that the medical cause of death certificate has been signed by a doctor. Delays due to the involvement of the coroner are not usually counted within these time frames. The registration should be made in the district in which the death occurred in England unless the death has occurred in a county that has adopted a county-wide system. If you are completely unable to attend a registrar in the district (or county) in England in which the death occurred you can attend elsewhere and carry out a declaration of the death. You should be aware that issue of the Death Certificate will be delayed as documents must be sent between the registrars in the post. In Scotland the registration may be done at any Scottish registration office. Most registrars operate appointment systems. Some operate an emergency out of office hours service for families needing urgent burial for any reason. Telephone your main council switchboard to find out if there is an out of hours service. In general, registration of the death should be carried out before the funeral can go ahead. Exceptions are deaths subject to investigation by the coroner or procurator fiscal. Permission for burial may also be issued before full registration in certain circumstances but this is not possible if cremation is planned. As we are in Sittingbourne, Kent any death that has occurred in Kent (as a County) may be registered at any registrars off ice in the County of Kent. You must make an appointment to see the registrar. Please contact us and we can assist in making that appointment on your behalf.